Finding a solution for bed bugs has never been easier. Colorado Tri-Flo Systems is proud to announce that our new online heating store is up and running better than ever before. Now, you can find commercial bed bug heaters for sale and purchase them right online. 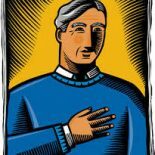 No hoops to jump through, no strings attached, and no waiting to hear back from a representative. You can find your one-stop heating solutions, purchase individual heaters, grab all of the accompanying accessories, and even buy extended warranties for all of our heating products with just a few simple clicks. That way, you can get started on eradicating bed bugs with heat, or even using our products as electric industrial heaters or restoration equipment. These do-it-all electric heaters have seemingly no limits and tons of great features. Getting started is simple. 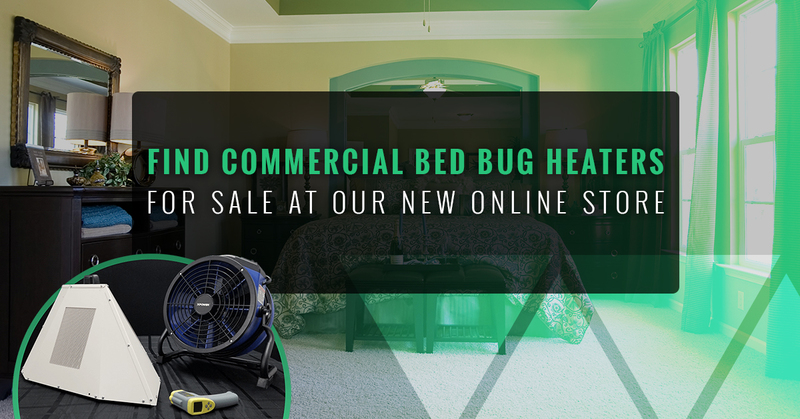 Just head over to our new online store to shop commercial bed bug heaters, and contact us today if you don’t see what you’re looking for or to customize your own particular heating package. At Colorado Tri-Flo Systems, we specialize in providing revolutionary electric bed bug heaters for a variety of uses. These commercial-grade bed bug heaters are perfectly suited for hotel owners, facility managers, dorm room facilities/universities, restoration and cleaning companies, construction sites, rental centers, and a whole lot more. Not only are these the ultimate bed bug killers, with permeating heat solutions which are known to kill bed bugs in all harborages and in all stages of life, but they are also known to be efficient when it comes to restoration projects (such as drying a flooded basement) or in construction settings (such as heating a cold garage or house with efficient, radiant heat). 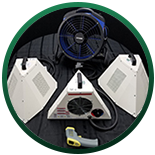 When used as commercial bed bug heaters, the Tri-Flo line is second to none. Killing bed bugs with heat is known to be the most proven, fastest method to eliminate infestations at the source. Our bed bug heater packages are optimized to work fast, allowing your turnaround time to fall under one day in most cases. See why heat is better than chemicals when it comes to killing bed bugs and shop our commercial bed bug heaters today. Need an electric heater for something other than bed bug eradication? Learn about utilizing our state-of-the-art line of industrial electric heaters for cleaning and restoration, construction sites which need ambient, electric heat, and for rental centers who are looking to add another layer to their business. At Colorado Tri-Flo Systems, we want to make it as easy as possible to find a solution for your commercial heating needs. That’s why we organize our products into one-stop solution packages based upon a variety of situations. Keep reading to learn more about our one-stop solutions and shop commercial bed bug heater packages today. As one of our beginner packages, the Tri-Flo 325 30-AMP is built to easily kill bed bugs in an average-sized hotel room. Featuring a 200-volt, 30-amp heater, one efficient airflow fan, and a laser infrared thermometer, this packages includes everything you need to kill bed bugs effectively and immediately. The uniquely efficient heater plugs right into the electricity on-site, requiring the use of just one electrical outlet plug for power. The infrared thermometer ensures that the room is heated to the proper killing temperature (between 121 and 136 degrees), and all of our heating equipment is ETL listed and CE certified. 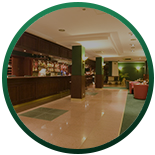 This commercial bed bug heating package raises that game by including three 11-volt, 20-amp heaters which are capable of heating and killing bed bugs within a 325-square foot hotel room. This package also includes a fan and a laser infrared thermometer, and each heater requires the use of just one electrical outlet in order to go to work. Looking to ramp up your heating capabilities? Then this 325 15-amp package is the one to go with. Featuring four 110-volt, 15-amp heaters, one fan, and a laser infrared thermometer to track the temperature of each room, this package gives you all the tools necessary to kill bed bugs in one fell swoop. The heaters in this package have a capability to produce upwards of 19,120 BTU’s, and each heater has an airflow output of 220 CFM. When it’s time to break out the big guns, it’s time to get the Tri-Flo 500 combo. This commercial bed bug heaters is built for those big-time eradication jobs, with the capability to produce ambient heat to kill bed bugs in a hotel room or other space as large as 500 square feet. With three heaters, two fans, and a laser thermometer, this package has it all. Each Eradi-Flo 5,000-watt heater requires a 220-volt, 30-amp circuit, and puts out 810 CFM of airflow. With our professional-grade starter kit, your company can get everything it needs in order to add bed bug eradication services to its portfolio — all while saving time and thousands of dollars in the process. This package is perfect for restoration/cleaning companies, rental centers, and pest control companies which are hoping to optimize their eradication capabilities while improving their bottom line. This commercial bed bug heating package features nine heaters (four 110v, 15-amp; three 110v, 20-amp; one 220v, 30-amp; one 220v, 50 amp), three high-temp fans, and a high-tech remote temperature monitoring system. Perfect for killing bed bugs in all situation, flood mitigation and other large-scale heating and drying applications, this is the ultimate professional starter package. If you’re ready to see what our commercial bed bug heaters can do for you and your business, then it’s time to heat things up. Check our our new online store to find commercial bed bug heaters for sale today.